Everywhere you look there’s conflicting information about what types of workouts you should be doing and for how long in order to become a stronger, faster runner. What magazines, books, and websites don’t take into account are our individual differences. Working with me means you will receive workouts tailored specifically towards your individual goals, schedule and fitness level. You’ll never have to ask google another running related question. I’ll answer all of those questions for you and explain how things apply to you as an individual. *Coaching costs listed are for four consecutive weeks of coaching. 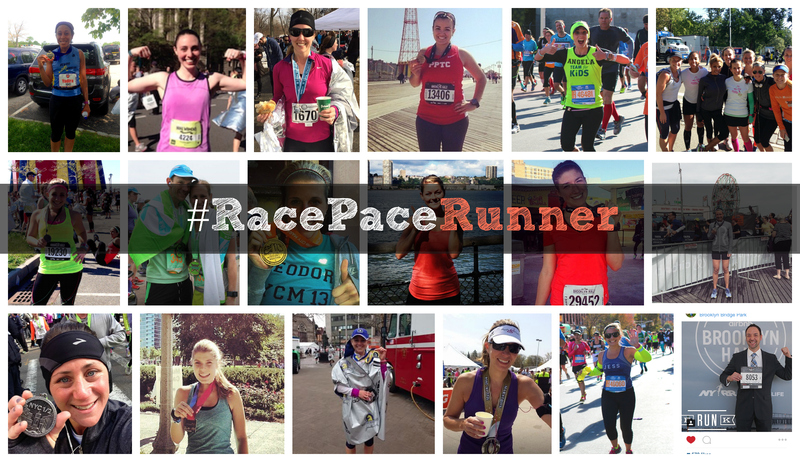 Email Jess today to become a Race Pace Runner! 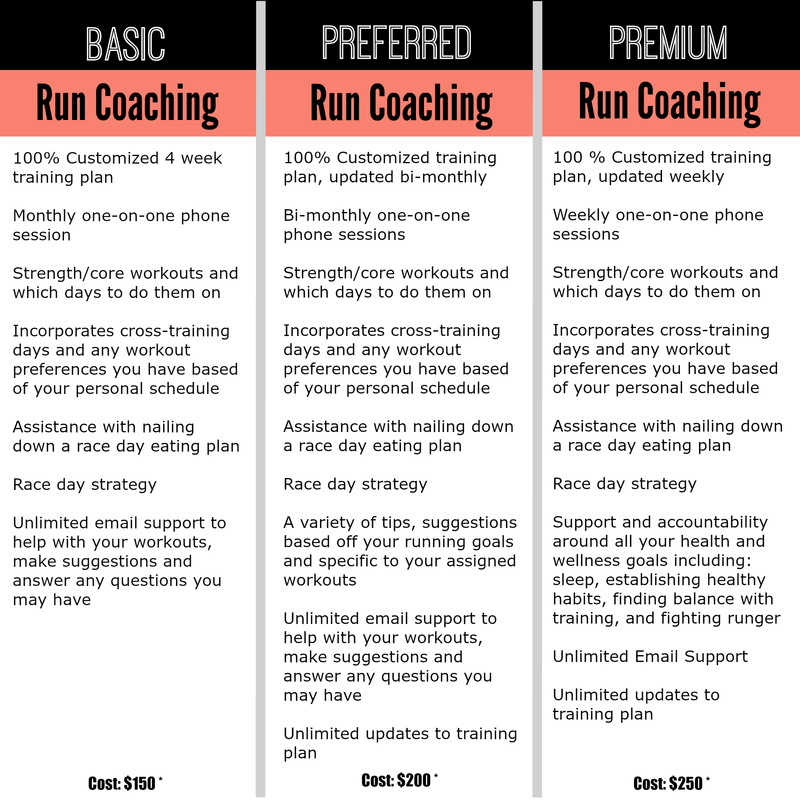 How are these coaching plans different than one you can find in a number of places online? A plan for one person would look very different from a plan for another person. The strength training workouts are often similar, but are tweaked based off a number of things specific to each individual. For the most part they don’t take a lot of equipment and can be done at home with dumbbells and bands. Plans also include rest days, cross-training days and strength work. When you sign-up, you will receive a comprehensive plan based off your needs and goals. I will tell you exactly what you need to do every day of the week for the duration of your training program!